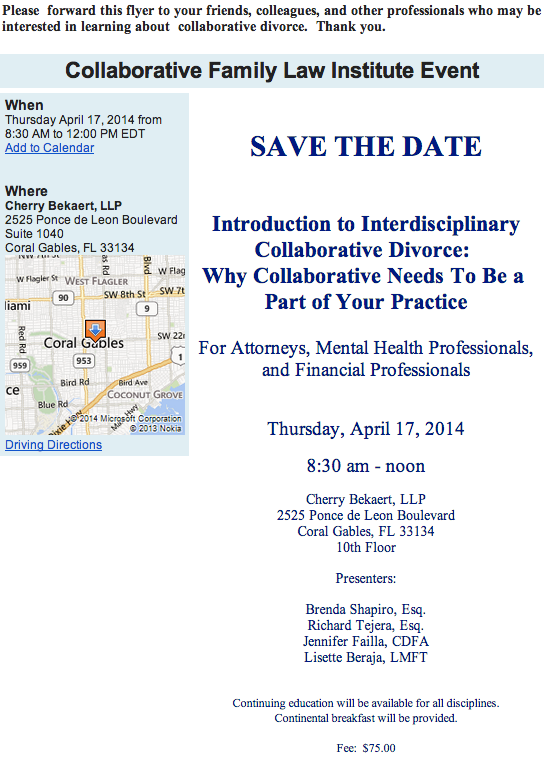 These last few years, I’ve participated in many collaborative divorce cases as a financial neutral. As most know, when you are hired as a neutral on a case, your goal is to help both clients meet their needs in the divorce, so that the dissolution agreements are sustainable long after the final agreement has been signed. When hired as a client advocate and not as part of a collaborative team, I am often told many things that are personal in nature and should not be divulged in order to protect the client’s privacy. Some of these things include: undisclosed accounts, gifts to oneself, an upcoming trip, new loves, etc.